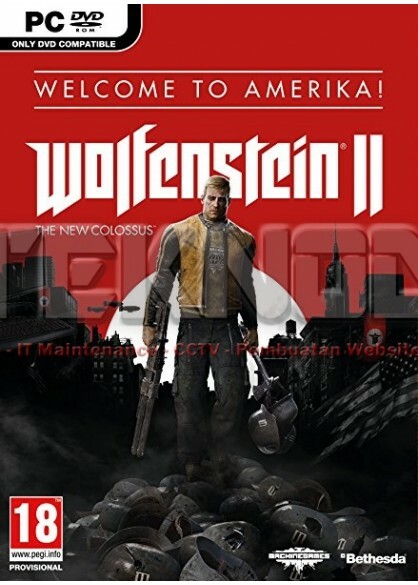 Wolfenstein II : The New Colossus is an action-adventure shooter game played from a first-person perspective. To progress through the story, players battle enemies throughout levels. The game utilizes a health system in which players'health is divided into separate sections that regenerate. We at Machine Games Are hug pc players, and all of id software's game have very strong PC DNA. So it's important for us to make sure the PC is as solid as any console version. That's why we built the game on idTech 6, which also allows for uncapped framerate- one of the featurers we.re excited about. With such a wide range of tastes in aspect ratios amongs PC gamers, it was important for us to ensure compatibillity with as many as possible. Here are a few of the big ones, but it's by no means of them.